A variation of my Flutter Bracelet, these Color Play Bands are created by first beading the thinner band using size 8/0 and 11/0 rocaille seed beads, most any type of 4mm beads and SuperDuo beads. If you want, you can then embellish this thinner band with more 11/0 seed beads and 4mm fire-polished beads to make a wider and more elaborate bracelet. 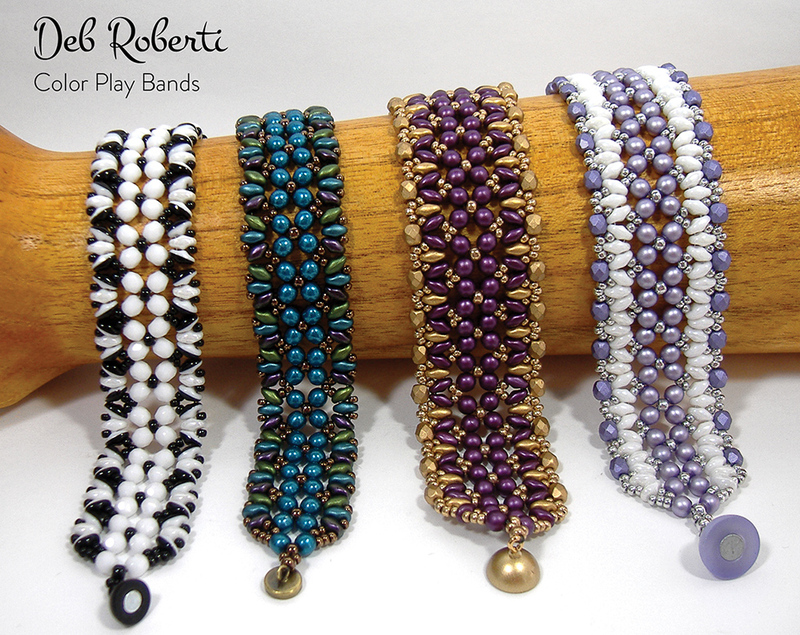 Use one color or different colors of 4mm and SuperDuo beads for infinite color combos. As always, full step-by-step instructions with illustrations included.